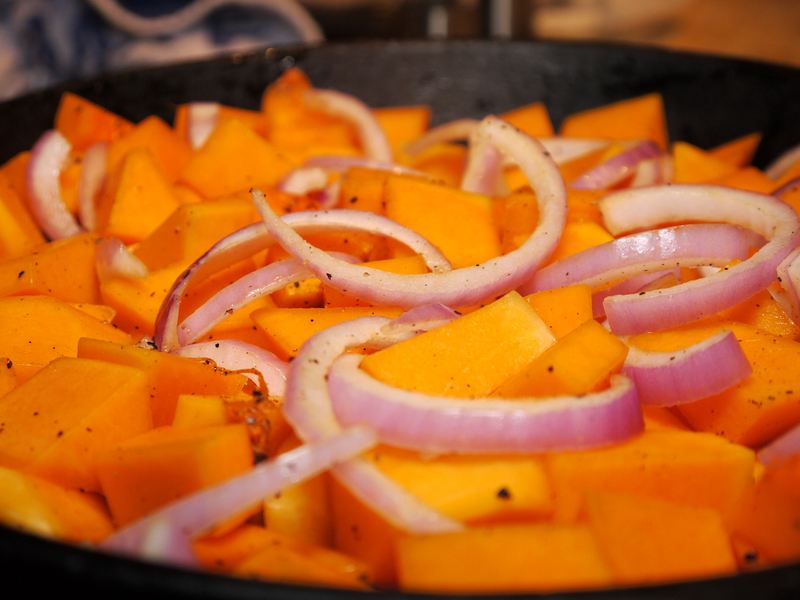 Butternut squash is one of my Fall favorites. It’s light, sweet and a tad earthy so it’s ideal for roasting. This frittata uses roasted butternut squash, sage and a slightly sharp Emmentaler cheese to make a dish great for breakfast, brunch or even dinner. 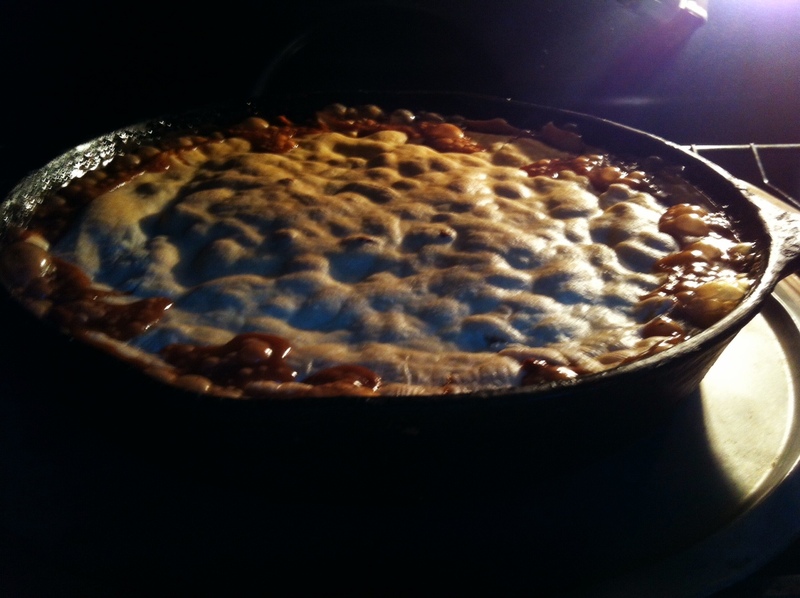 Use a non-stick pie dish or an oven-safe skillet to make this in the oven. Be sure to whisk the eggs well so that it turns out nice and fluffy. Place butternut squash and onion in a large oven-safe skillet or dish and toss with olive oil, half of the salt and half of the pepper. Roast until browned and softened (about 25 minutes). 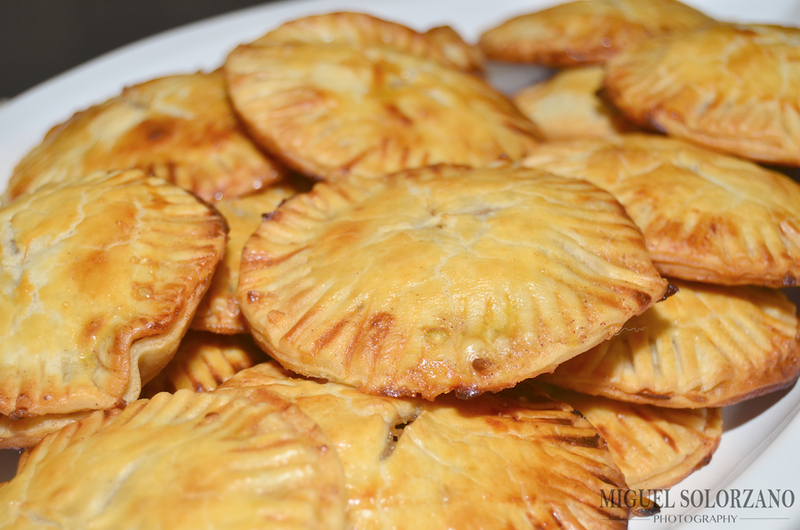 Remove from oven and set aside to cool for about 5 minutes. In a large bowl, whisk eggs, milk or cream, sage and remaining salt and pepper. Pour egg mixture into skillet and cook until set (about 8 to 10 minutes). 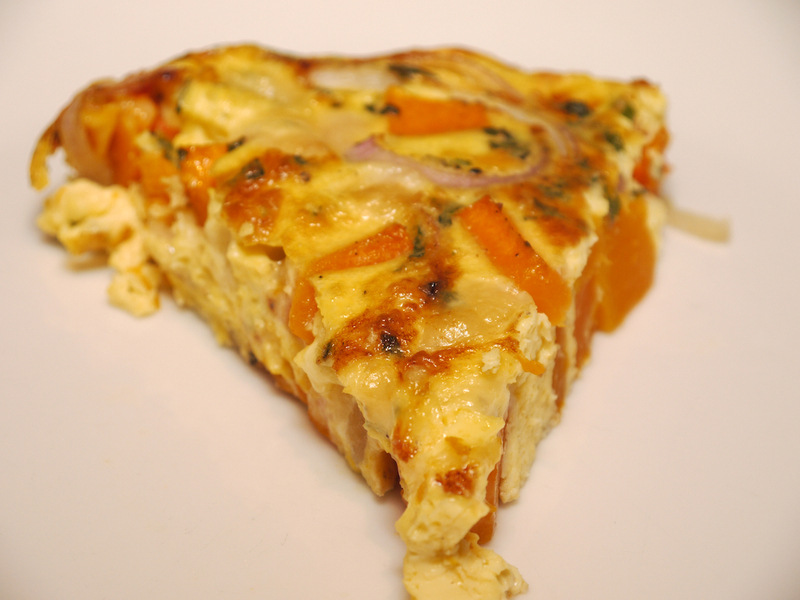 Remove frittata from the oven and sprinkle with Emmentaler cheese. 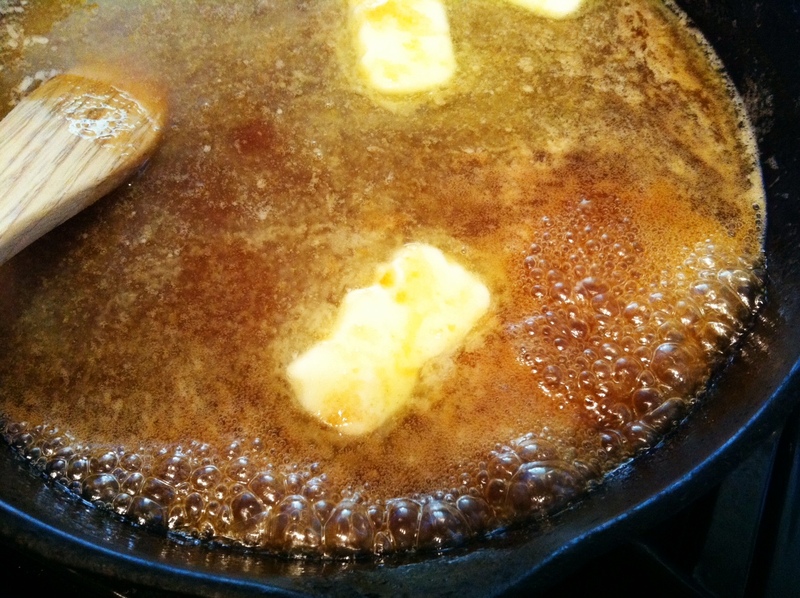 Turn on broiler and place skillet underneath until cheese melts and the top of the frittata is browned (about 2 minutes). Cool frittata, cut into wedges and serve. Pair this frittata with a breakfast meat of you choice or enjoy it solo. The flavors are very nice as butternut squash and sage often go hand-in-hand. The frittata should rise some while in the oven, but settle out nicely once removed. If the egg mixture isn’t fully cooked, return to oven and cook an additional 2 minutes. 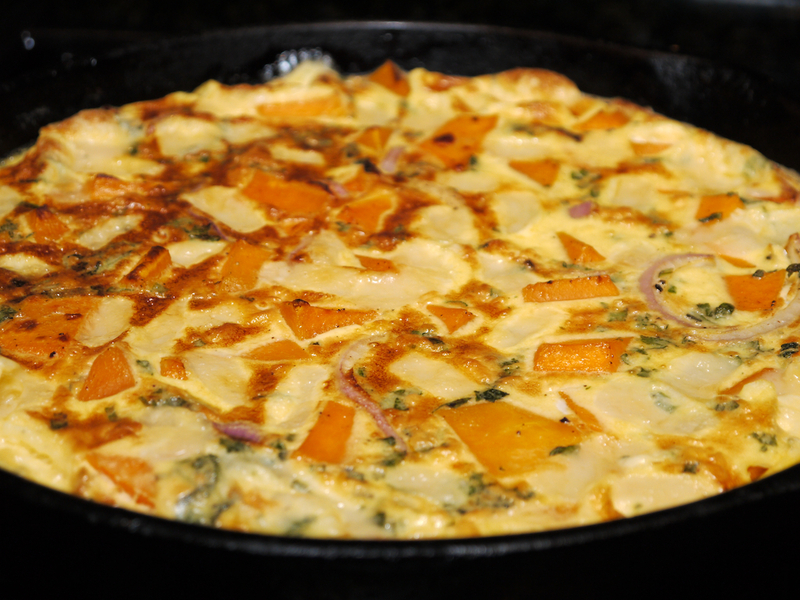 Enjoy this frittata as part of a great Fall brunch. Chili is a great Fall one-pot wonder. This chili recipe boosts the flavor by using pumpkin puree as the base. It’s also loaded with healthy vegetables and lean protein (this recipe uses turkey, but I’ve also used tofu) for a very balanced meal. 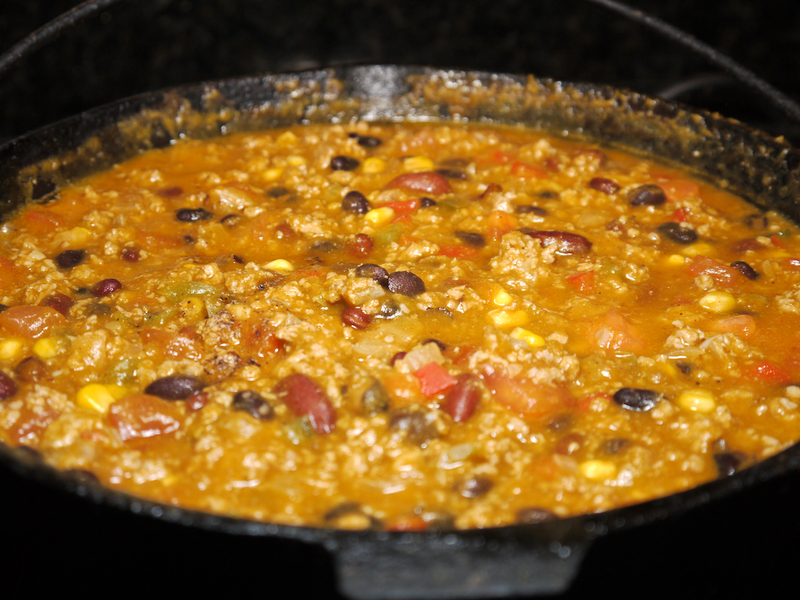 It’s suited for most diets as the chili itself is gluten-free and dairy-free. So next time you’re hosting a football watching party or any other Fall event, be sure and add this recipe to your must-try list. Add chopped onions, peppers, jalapeños and garlic and cook, stirring frequently, until tender. Roughly 5 minutes. Add turkey (or other protein) and cook until browned. 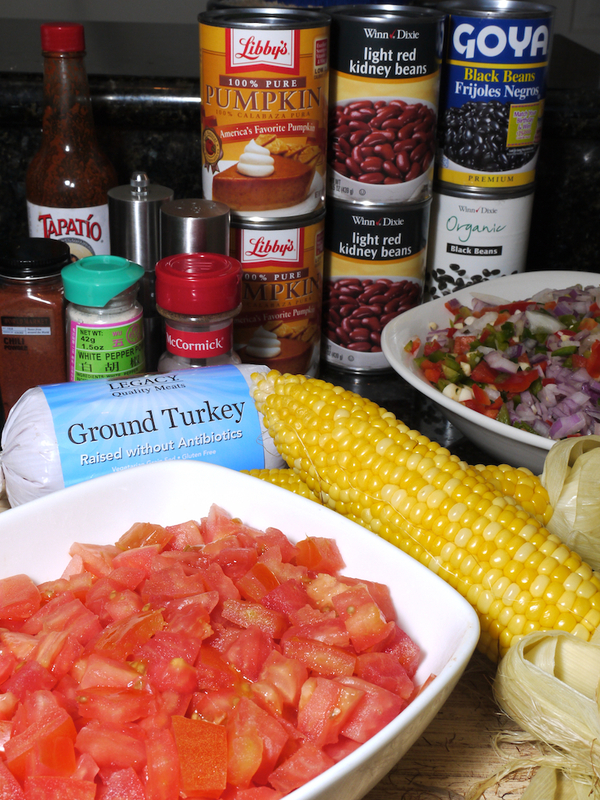 Add roasted corn, tomatoes, pumpkin puree, water and spices and bring to a boil. Reduce heat to medium-low and add all beans. Cover and simmer, stirring every 5 minutes, for 30 minutes more. Serve chili in bowls with garnish. Some of my favorite garnishes include sliced avocado, shredded cheese, sour cream (or plain Greek yogurt) and cilantro. *To roast corn, preheat oven to 350F. Place corn (in husks) on oven rack and roast for 30-40 minutes. Slice corn from cob. You can mix and match the suggested garnishes as you see fit. I prefer all of them together. I also serve this chili with a jalapeño cheese cornbread and crumble it over the top. 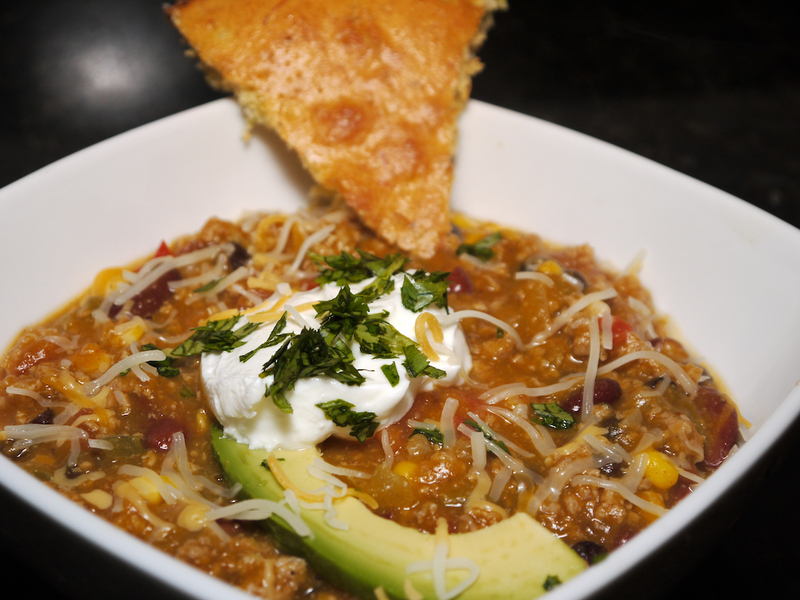 No matter how you dish it out, this is a great chili loaded with nutrients and perfect for a cool Fall day. It’s officially Fall so will someone please tell the weather gods? While we’re waiting for the temperatures to come down to the Fall conditions we know and love, here’s a simple and quick Pumpkin Butter recipe packed with Fall flavors. Some gourmet stores have jars of pumpkin butter listed for up to $15. With this recipe you can make more than a jar for about 10 bucks. 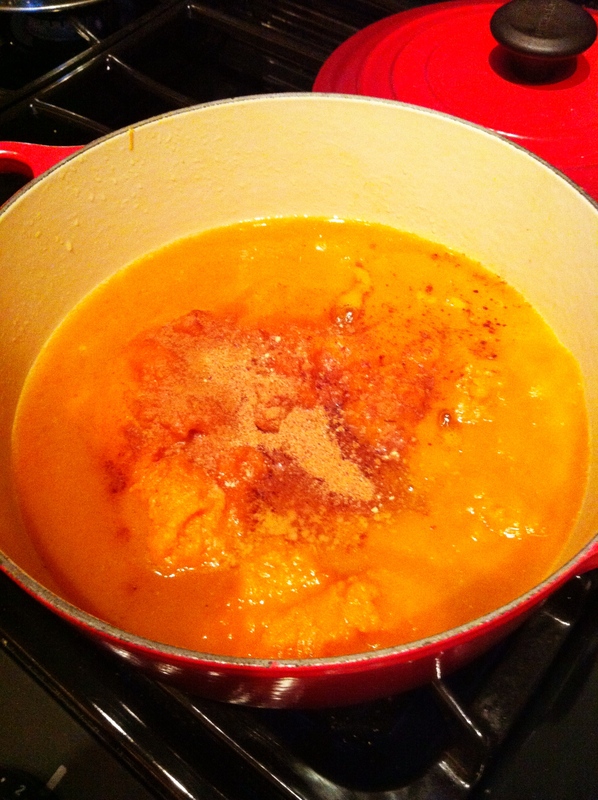 My recipe uses pumpkin puree, but you’re welcome to use a whole pumpkin to make your puree. I don’t have enough hours in the day to do so. 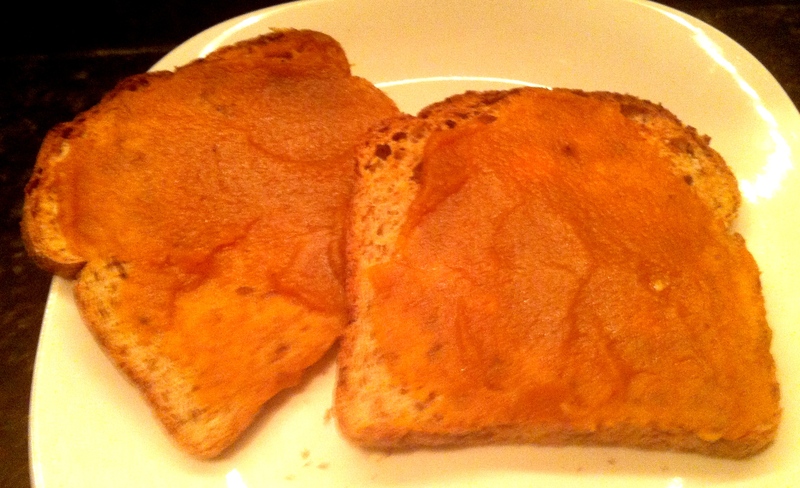 Apologies for the photos, while Pumpkin Butter tastes great, it’s not the easiest thing to photograph. Mix all ingredients over medium-high heat in a non-stick medium-sized pot (or Dutch oven). Bring to a boil, stirring regularly. 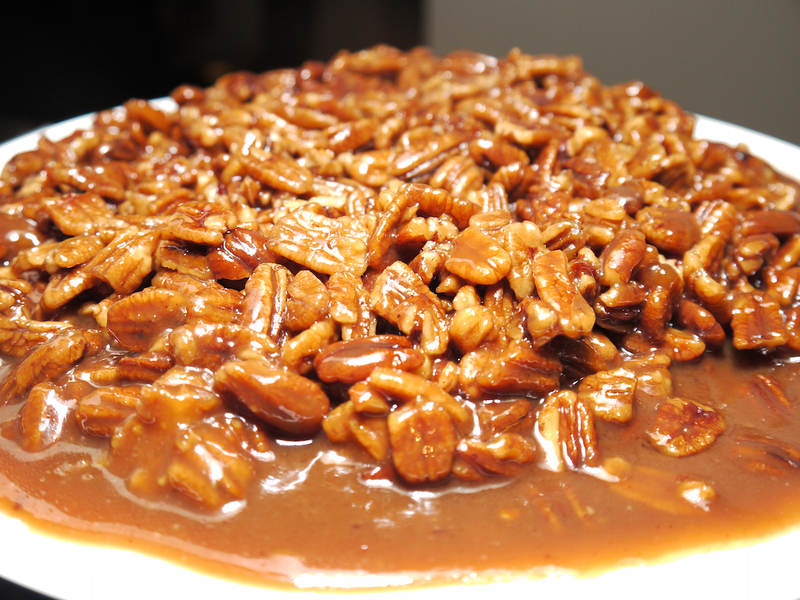 Reduce heat to let ingredients simmer, stirringly regularly, until mixture thickens (about 30-40 minutes. Cool pumpkin butter and room temperature. 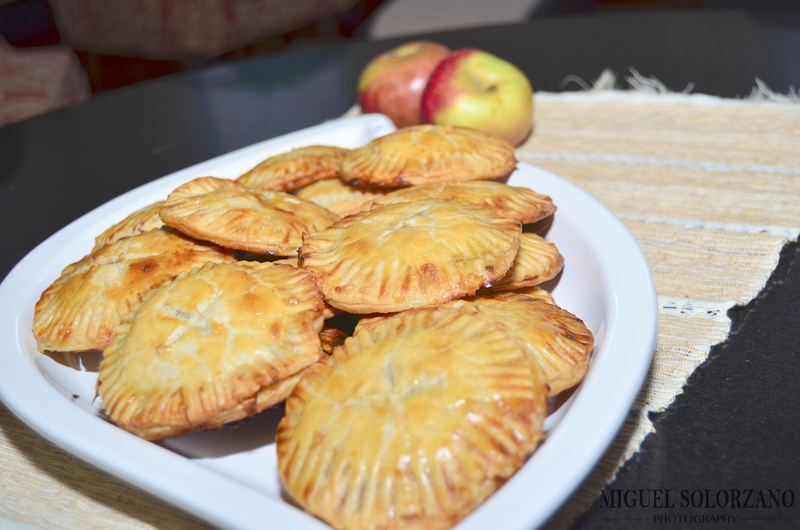 Once cooled, refrigerate in airtight containers for up to a week. You may think I’m a little heavy handed with my spices, and that may be the case. I really like spices especially when they simmer in liquids infusing the flavor into the final product. So if you think it’s too much for you, adjust accordingly. This Pumpkin Butter is a great topping for toast, yogurt, bananas, even chicken or fish. 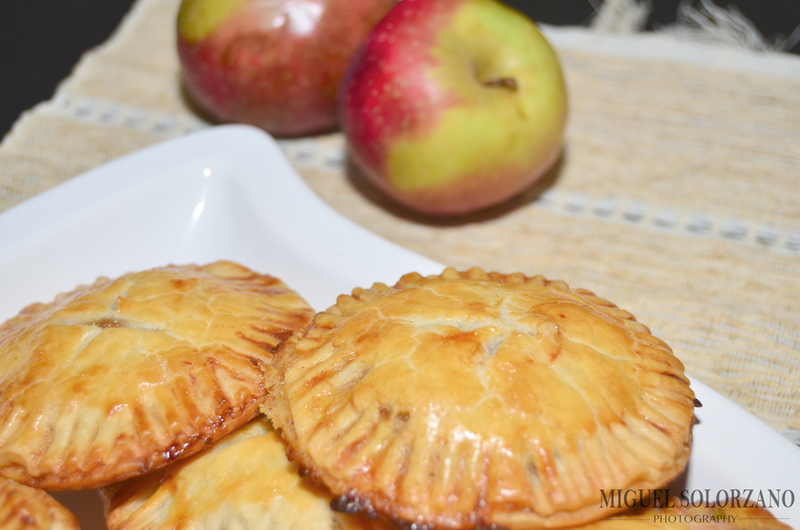 You can also use it in place of oil or butter for baked goods (similar to applesauce’s use). 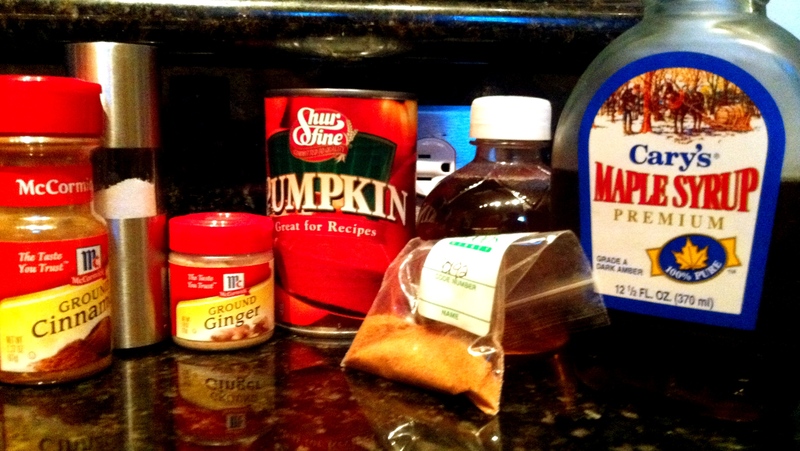 My personal favorite is to make a PBx2 — Peanut Butter and Pumpkin Butter sandwich. I’m sure there are many more uses I haven’t thought of yet. All I know is that this Pumpkin Butter is truly a versatile sauce that will spice up your Fall.